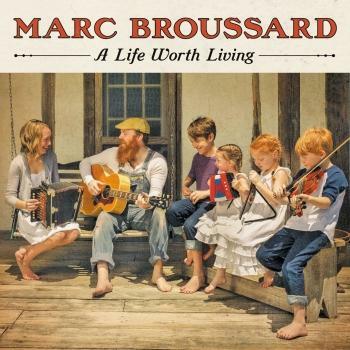 A Life Worth Living, the sixth studio album by Louisiana roots singer Marc Broussard, is his most personal project to date. No longer hiding behind ambiguity or his former label’s desire for performances targeted to Broussard’s demographics, this time Broussard opens up and creates a music mosaic straight from his soul. Broussard’s earlier work is best characterized by his soulful vocals and a swampy Bayou flavor permeating the rootsy folk rock. 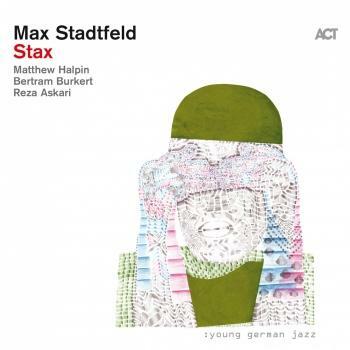 The same holds true here, but on A Life Worth Living, his return to Vanguard Records after two albums with Atlantic, Broussard strips everything down to its emotional core. Broussard’s soulful vocals and honest storytelling are given greater emphasis, with his trademark blues, funk and soul flourishes only giving the narratives an extra punch. 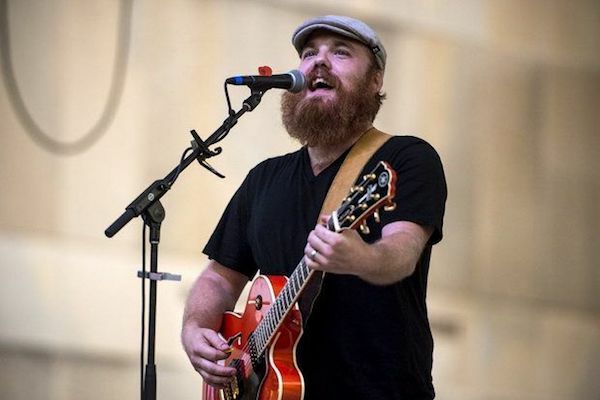 In 2004, Marc Broussard, then a precocious 22-year-old singer/songwriter, released his major-label debut; he called it Carencro, after the Louisiana town where he was born and raised, and its thematic centerpiece was a hickory-smoked slab of Bayou soul called “Home.” That album and the three that followed revealed Broussard as an old-school Southern soul singer blessed with a rarefied gift and innate stylistic and emotional authenticity, causing the L.A. Times to rave, “The guy can really sing, with power, nuance and class. Anybody got a phone book? I’d listen to him hum a few pages.” Those records also evidenced Broussard’s maturation into a songwriter of uncommon eloquence, fashioning the indigenous idioms of his native region into compelling personal testimony. Now, a decade after his critical breakthrough, Broussard has come full circle with A LIFE WORTH LIVING his sixth studio album, a celebration of what home means to him, starting with his wife and kids, the street he’s lived on his entire life, surrounded by loved ones, and all the minutiae of everyday life that he has come to treasure. 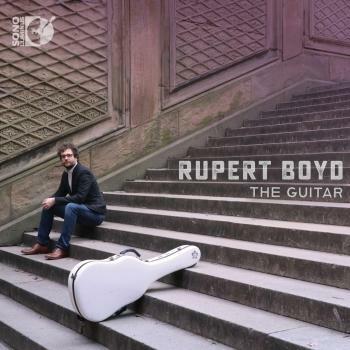 Broussard signals his intentions with the cover portrait, which pictures him with his wife and kids sitting on the steps of a neighbor’s house, instruments in hand, persuasively conveying the notion that the family that plays together stays together. That touching photograph, which recalls Norman Rockwell’s heartwarming images of home and hearth, leads the listener into a song cycle that brings those traditional American values to vivid life, a linked series of ballads and deep-gut soul-rockers with revealing titles like “Edge of Heaven,” “Another Day,” “Weight of the World,” “Perfect to Me” and “Shine.” These songs, some intimate and others churning with intensity, like the kickass blues-rockers “Dyin’ Man” and “Man Ain’t Supposed to Cry,” chart the full range of concerns and emotions of a husband, father and provider as he experiences the joys and sorrows of existence. From the charged metaphor of the opening track and lead single “Hurricane Heart” to the closing existential lament “I’ll never Know,” Broussard gets really close to the bone on this record—so close, in fact, that there seems to be no distance between himself and these songs, each of them drawn from the very fabric of his life; it’s as if they’re being transmitted from his heart and soul directly to the listener. That’s particularly true of the poignant title piece. 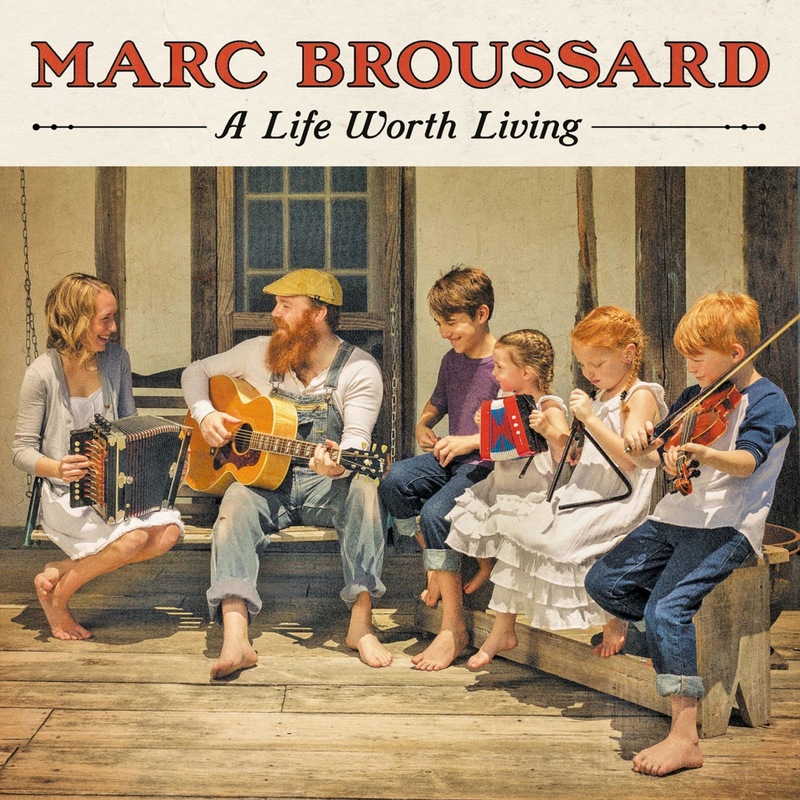 “It was a rare occurrence to have a song that just kind of wrote itself,” Broussard says of “A Life Worth Living.” “It felt like I was the conduit more than the writer, that I received this thing. It happened right after the passing of my grandmother. She was sick, and she decided not to fight the cancer, which is indicative of her style—she lived by her own rules. My mother’s mother was the matriarch of this wonderful, massive family. Hurricane Isaac was bearing down on the Gulf Coast of Louisiana at the same time that she was passing away, and because it was such a sudden thing—we found out she had cancer and three weeks later she was gone—we were all left speechless. I felt like someone needed to say something and luckily the whole thing laid itself out in front of me. “That’s one of two songs on this record that came to me this way,” Broussard continues. “The other one is ‘Give ’Em Hell.’ It’s about a friend of mine, Squirrel we called him, who was the head of the English department at a Jesuit high school in New Orleans. This guy was a brilliant writer, and one of my favorite people of all time. Squirrel passed away suddenly from a heart condition last April, and that led to another song that just hit me. I sat right up in bed and heard the first line. The album’s other linchpin song is “Honesty,” which, like “A Life Worth Living” and “Give ’Em Hell,” began with an epiphany. “‘Honesty’ was born out of an experience I had listening to a song called ‘Don’t Tell All My Friends About Me,’ by a brilliant guy named Blake Mills,” Broussard recalls. “That song had a profound effect on me in that it was so brutally honest it couldn’t be denied. For a long, long time, I’ve avoided writing about the darker side of relationships and love for fear of offending my wife’s sensibilities. But after I heard that song, I said to myself, ‘I can’t do that anymore. I’m not gonna allow myself to be stifled; I need to be able to write whatever I’m feeling.” So I had a talk with my wife and let her know that none of this stuff was really that personal, and all she needed to do was focus on how we are to each other. Then I proceeded to open myself up. So ‘Honesty’ is really the quintessence of this new spirit in my writing. A LIFE WORTH LIVING marks Broussard’s return to Vanguard, which released 2007’s SOS: Save Our Soul, his scintillating album of covers of Southern soul classics. With that, Broussard eases himself back into the unhurried rhythm of life in Carencro. The next order of business: dropping off a cookie cake baked by his wife to his daughter’s first- grade class at the neighborhood elementary school.